you have a great spirit of adventure and enormous energy to take these trips. may God protect your stamina! Thank you Nina! And to think I was just saying that I feel tired. Sending you a world of positivity and good health. 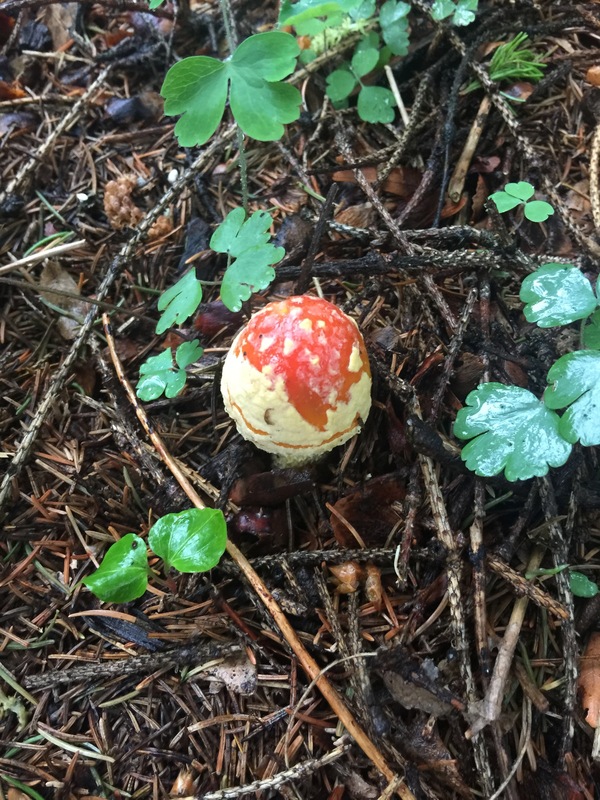 The historical facts around and cultural significance of amanita muscara are amazing and need to be publicized. Thank you for the fine article! Thanks, John. The images are certainly ubiquitous in Northern Europe. 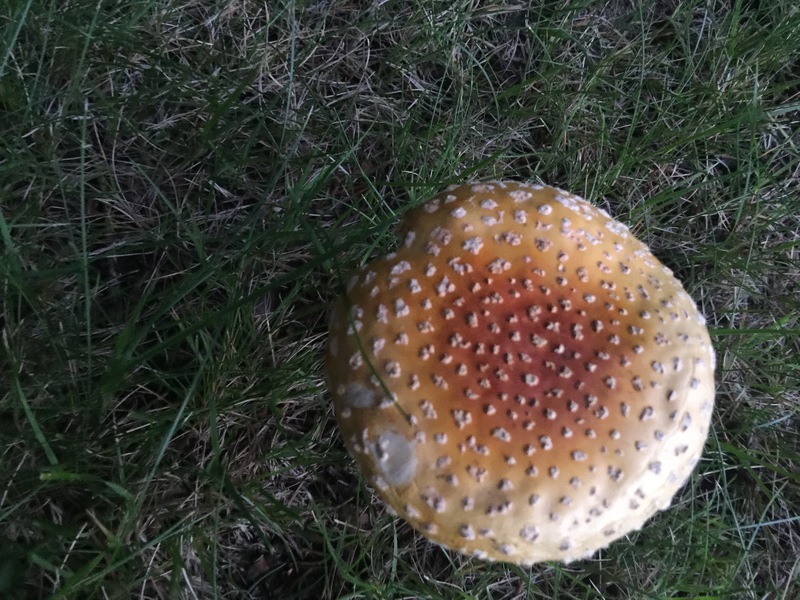 A. muscaria are very unpredictable and sometimes more dissociative in their effects than truly psychedelic. They can also cause unpleasant physical symptoms. The psiolcybes are much more reliable, and are also found across Europe. Thanks for your comment. Feel free to elaborate. I was very impressed by what clearly seemed to me like the oversoul of the mushroom attempting to communicate with me. This made me rethink Terence McKenna, who I actually never discounted. He found that toasting the mushrooms eliminated a lot of the physical negatives (which can include excessive salivating, i.e., foaming at the mouth). I don’t necessarily buy that A. muscaria is the legendary soma, but it’s provocative and fascinating reading nonetheless. The psilocybes are much more gentle in their physical effects, though some people do experience transient nausea, and subjectively they are classical psychedelics, whereas the mental effects of A. muscaria can vary immensely from person to person. Far be it from me to suggest you should not listen to the calling! 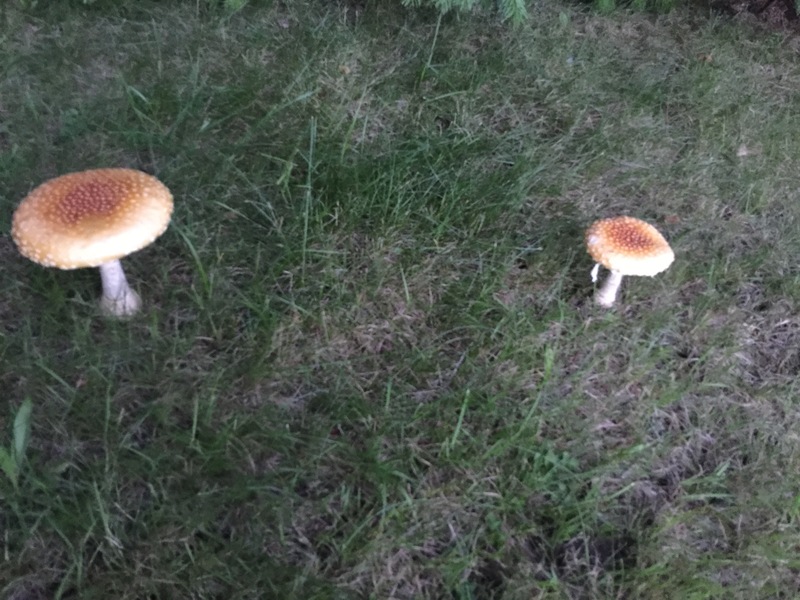 🙂 But many people lump A. muscaria and psilocybes into “magic mushrooms,” but they are very different. If you’re interested in reports from people who have taken them, Erowid is a terrific resource. Great story, btw. And I’ve been a fan of Terence since his first book, and miss him greatly. I have belonged to a mycology club and I am still myco-phobic. Unless you are a very advanced mycologist, don’t eat any species of Amanita. They are easy to identify. They grow out of the earth from an egg-shaped cup, which is the single drop dead identifying attribute. 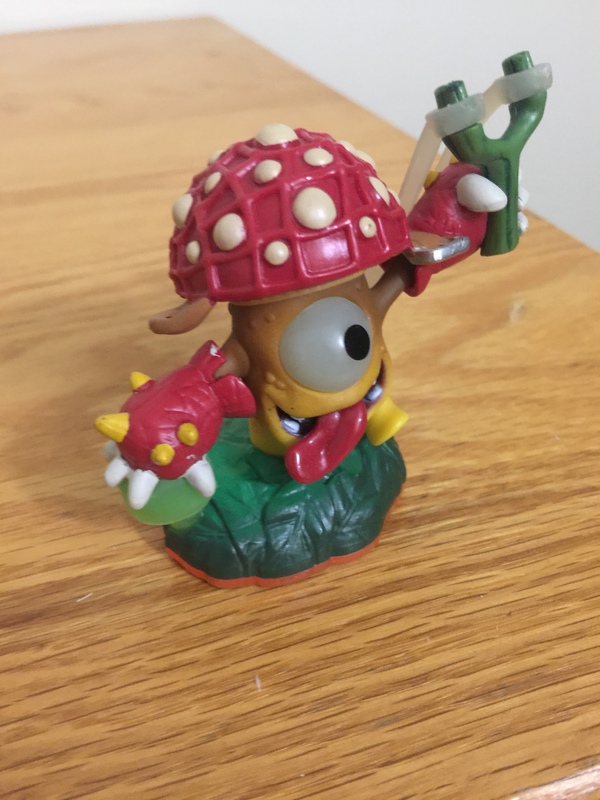 You must dig your foraged mushrooms to ensure they are not this species. They are gilled mushrooms, and the gills are detached from the stem. Finally, most have the warts you see on top of the cap, but not all have warts. Some don’t, like the pure white ones that people mistake for edible mushrooms called Destroying Angels. I had a conversation with a woman who as working at a boutique grocery store. She said that she had served Jack ‘O Lantern Mushrooms to her friends, mistaking them for an edible. I said OMG! They spent the day in the hospital. I asked her if she saw them glow in the dark? She said, “They glow in the dark?” I replied that’s where their name comes from. Beware. 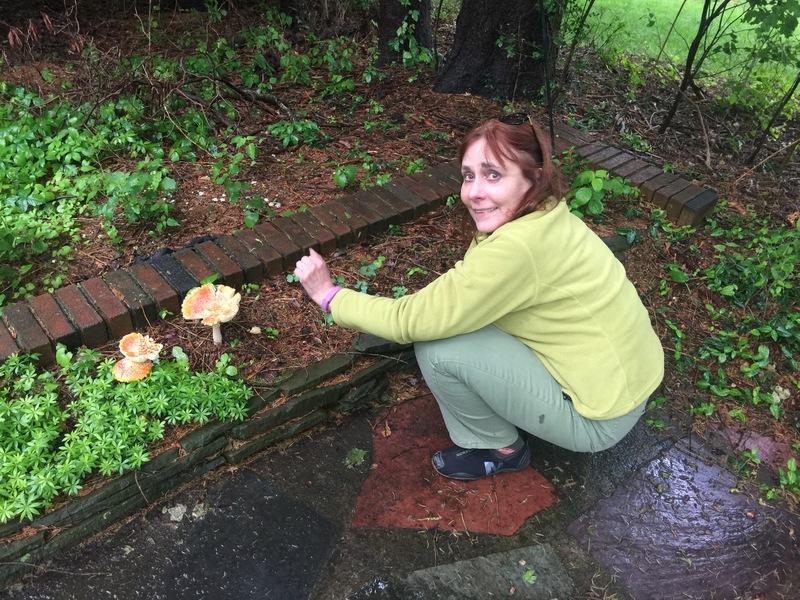 There are rules for foraging and serving mushrooms to people. Join a mycology society before you pick and eat. Thanks. I did not eat. North American Mycology Club has chapters all over the US. You can join their walks and classes and learn how to identify mushrooms. There are a few in the NYC area. 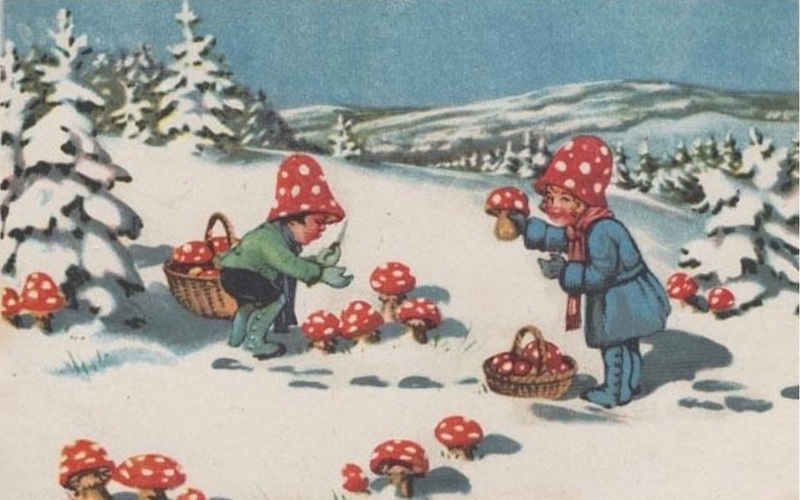 I saw them often growing up in Sweden and everyone knew that was the poisonous mushroom 🍄 to avoid – one of the first things taught by day care staff- as children often play in the forest but most others were edible and delicious. I never knew it could be used as a hallucinogenic- do you think it would work on on someone who didn’t have success with peyote or ayahuasca? Seems tricky- in low doses doesn’t work but higher risk more poison… it says was used in Siberia where after the shaman ate it the rest of the people would drink the shamans urine which was thought to be ‘de-poisoned’ after it was cleansed through his system? I never heard of them being associated with Christmas but did find a Swedish article asking if Santa was a shaman just like in your post. 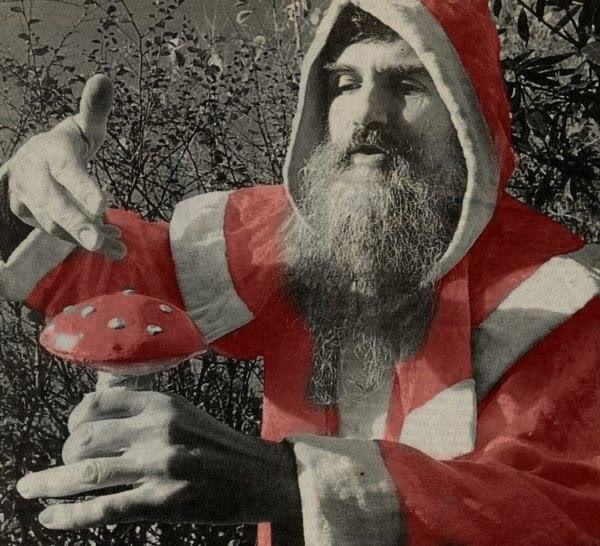 The theory is Santa came from a Siberian tradition where he came into peoples huts with bags of the mushrooms but that the theory is unlikely because a lot of ‘evidence’ sited is circumstantial such as Santa’s suit colors matching the mushrooms. There’s also a myth of Vikings eating the mushrooms at night which led to bad temper and hallucinations where they went berserk- the word berserk is taken from Swedish meaning to be dressed in nightwear- as the Vikings were still in their pajamas(?) when they went on killing sprees. Although a Swedish historian says there is no reference to any mushrooms from Viking texts so may not have any truth to it. After a particularly nasty health scare and repeated rounds of anathesia it felt like my brain had been turned to mush. Forming sentences was challenging at times. I became aware of Paul Stamet’s thoughts on using cubensis along with lion’s mane and D3 to repair the brain. One day I was standing out by my mailbox trying to figure out how the hell I was going to accomplish that. I got back in the car and drove up the hill just in time to cross paths with a giant RV covered in enormous photo-realistic mushroom decals and on the side in giant letters it said “Let’s go to Mushroom Camp!” It was all downhill from there. Paul Stamet’s was right and I found that the mushroom had an energy all it’s own. Many weird things happened along my journey that lead me to believe it was communicating with me somehow. It was all just too uncanny. Keep up the good fight and keep us posted. I am enthralled by mushrooms. Have you read Terrance McKenna’s take on them as intelligent spores from space? That is really shorthand for his fascinating theories. He deserves a read. I have. He was one of the voices that helped put me back together. It seems like they are an active super intelligence. Not sure how else to describe it but it got weird. Also had problems with electronic scales that I was able to duplicate. But then again I did invite them in and asked for their help. I try to keep the Robert Anton Wilson programmed portion of my brain active, which makes me question everything, but I have yet to come up with a better answer for it. 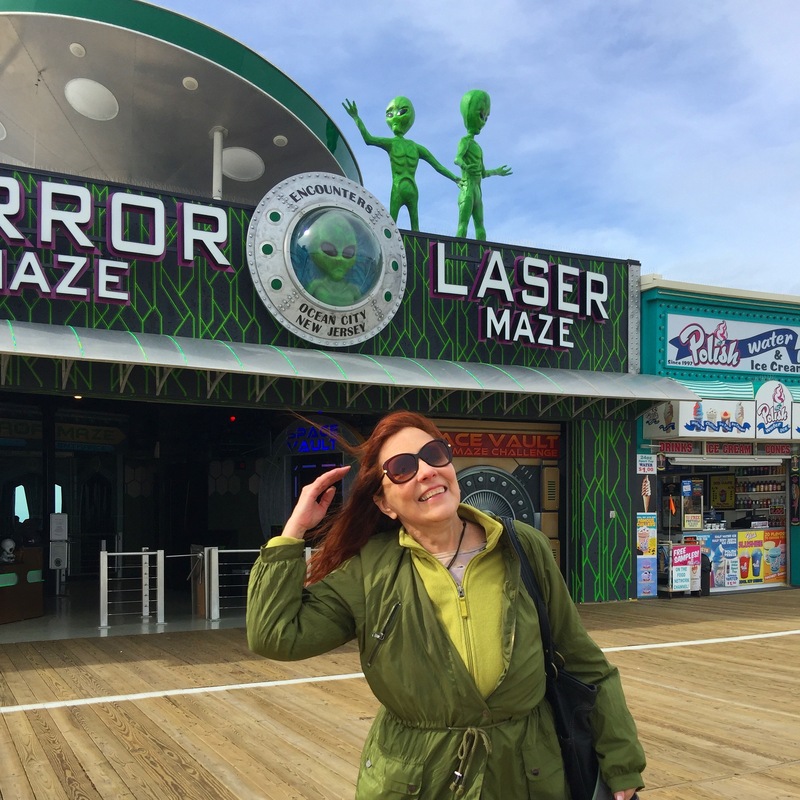 Changed my life completely and there was a powerful resonance with a lifetime of paranormal experiences.